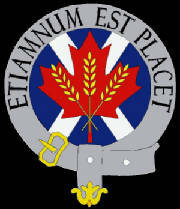 The official unofficial website of the Calgary Highlanders Pipe Band. Check it out! The official unofficial website of our friends and collegues in Saskatoon. Give them a visit. They are our friends, colleagues and fellow pipers and drummers from Saskatoon. Find your family tartan here...over 2000 tartans. Some history of and selected works from Scotland's famous poet. This is the official page for Piobmaster and DrumScriobh. This software lets you write and listen to pipe music and drum scores. Piobmaster is the software we used to produce our music book. This series of five tutorial books (and exams) is available free to download in PDF format. It is best suited for younger piping students. This site provides information on all aspects of the Juno Beach Centre such as its themes, displays, construction, and how to donate to it. Thanks for visiting our site! Please contact us to report a bad link.